It’s time to get even. Fight back against discoloration, hyperpigmentation and sun spots with a gentle brightening kit that is safe to use day and night. This kit helps restore the skin to its natural, even tone without leaving it splotchy – making it the perfect brightening regimen for all skin tones. Purity Clean | EXFOLIATING CLEANSER Exfoliates, decongests pores and cleanses skin of surface oil and impurities. Simply Brilliant | 24/7 BRIGHTENING TREATMENT Fight the look of discoloration with ten skin-specific brightening ingredients while aiding in the prevention of future sunlight-induced pigmentation. Serum 16 | RAPID RENEWAL SERUM Dramatically reduces the look of fine lines and wrinkles with LG-Retinex – a rapid-renewal retinol complex gentle enough for dry, sensitive skin – to renew the complexion with amazing results. Hydrate+ | BROAD SPECTRUM SPF 17 MOISTURIZING SUNSCREEN A moisturizing, daily sunscreen with broad spectrum protection and antioxidants. Step 1: Apply a small amount of Serum 16 2-4 times weekly as tolerated after cleansing with Purity Clean and toning skin. Step 2: Follow with your favorite nighttime moisturizer. Step 1: Moisten hands and face. Add a small amount of Purity Clean to hands and work into lather to cleanse skin. Rinse with water. Step 2: Apply Simply Brilliant to cleansed and toned skin. Step 3: Apply Hydrate + liberally 15 minutes before sun exposure. Reapply at least every 2 hours especially if swimming or sweating. Ask a doctor if using on children under 6 months. Really see the difference with use the very next morning. With use after the first week, my skin feels and looks noticeably different. I recently started using cosmedix and I have already noticed such a difference in my skin. So far I am loving these products! Omg! These products have helped me so much. I seriously look younger and my tone is more even and all my dryness has gone away. I am so thankful I found this product through my wonderful esthetician Colette @beauty_room_upland Seriously the best products! The title is nice for the package. This package is amazing and does wonders to the skin! It truly highlights and moisturizes the skin. It does even out the color and texture and truly works! I’ve heard good things about this line and I wanted to try some of the products before buying. So I tried the even tone starter kit. First of all the purity cleanser is AMAZING! I didn’t love the vitamin c serum and the serum 16 was a bit too strong for me. The moisturizer with SPF was good as well. But nothing beats that cleanser. I bought the full size a week later and I still love it. Overall buying a starter kit is a great, inexpensive way to try products from the line. I was recommended these products by my aesthetician and purchased the starter kit to give them a try. I’ve noticed an improvement in my skin already, as has my family. I’m definitely going to continue using them. Also love that I can take these size bottles traveling! Very gentle exfoliation but my skin looks definitely brighter and even toned. Love it, especially the Simply Brilliant serum and the cleanser! Obsessed with how my skin feels after using this starter kit for only 3 weeks! Such a great deal too! I have several of the starter kits. 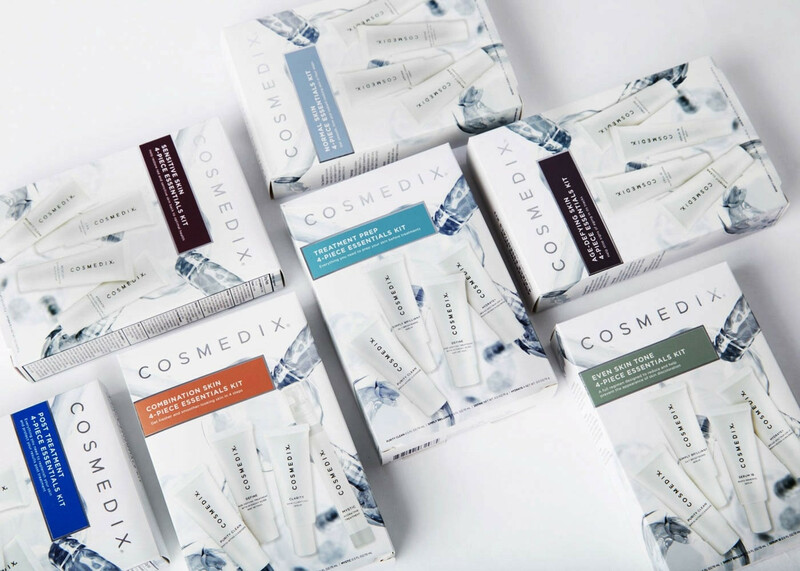 They are a perfect way to try Cosmedix if you are new to this line and perfect for travel! Great way to start a new skin care regime without buying full size products! I love this kit. It was a great way to see the affects of all of the components on a month long average. Serum 16 is AMAZING. Love the cleanser smells clean and makes my face soft! The Serum 16 makes my face tight and toned. The only thing I didn’t like is the simply brilliant, makes my face irritated and bright red. Excellent! Love the serum, moisturizer and cleanser. 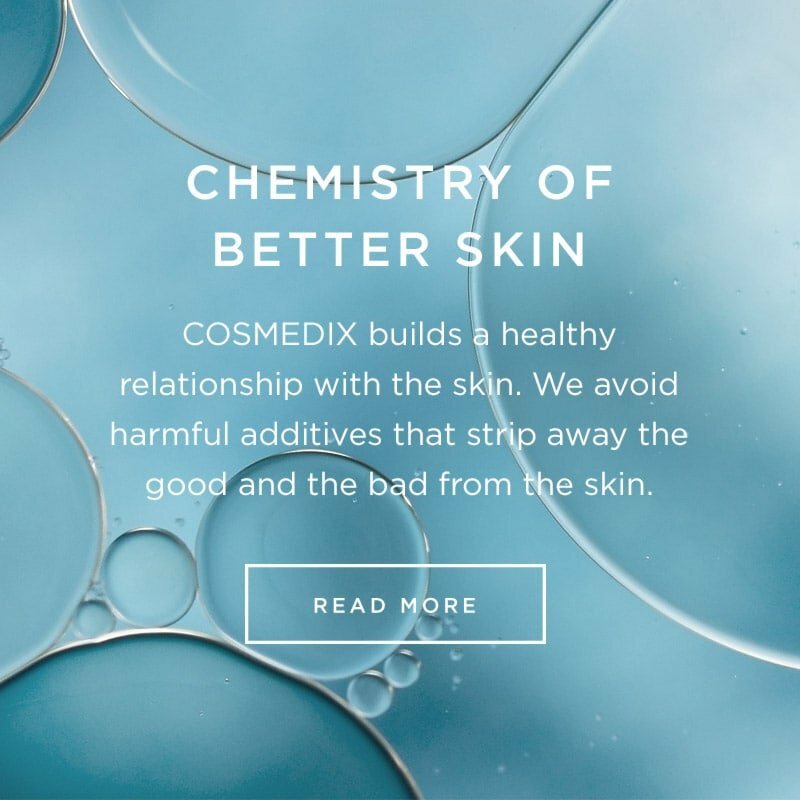 I have used Cosmedix products in the past, and I decided to start up again, but I was unfamiliar with some of the new products. I had used Lightning, Refine, and Define in the past so I was excited to see how the new products would work with improving discolorations. The sizes of the tubes were generous. They are perfect for truly sampling a regime and for traveling. I’m in love with the Serum 16 and Simply Brilliant. It calmed down my breakouts (yes, I know Simply Brilliant was not formulated for breakouts, but it sure helped mine). They were effective yet quite gentle. My skin looked better in less than a week. I can tell Cosmedix products are organic. They smell good, natural, not chemically. The skin feels soft and smooth after applying them. I'm sampling a simply brilliant skin kit and am falling in love. Ready to purchase a full set. I had noticeable improvement after one use.